A skier at Treble Cone, NZ. The Southern Alps of New Zealand and the alpine regions of Australia (found mainly in the two states of New South Wales and Victoria) offer turns from early June through October. 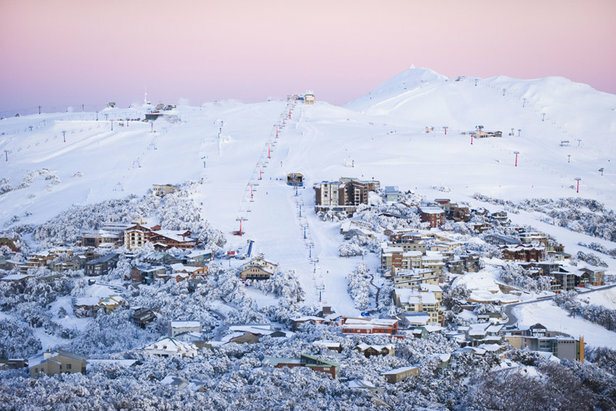 With more than 30 ski resorts to choose from across both regions, trip planning a Southern Hemisphere ski vacation can be a daunting prospect. Get your feet wet with our roundup of the best skiing and riding in Australia and New Zealand. A three-hour drive from Melbourne, Mt. Buller is a convenient option for incoming travelers. 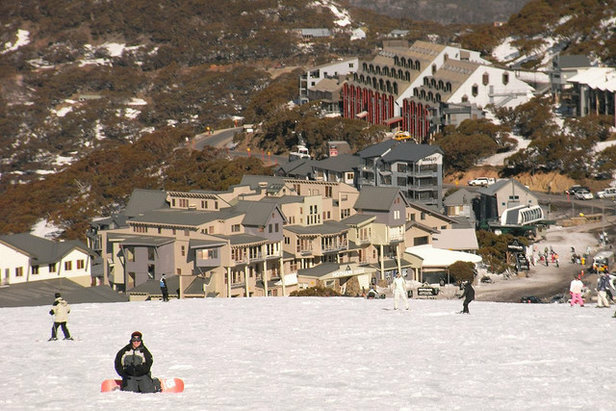 There are over 700 acres of skiable terrain across the slopes of this Australian ski field. 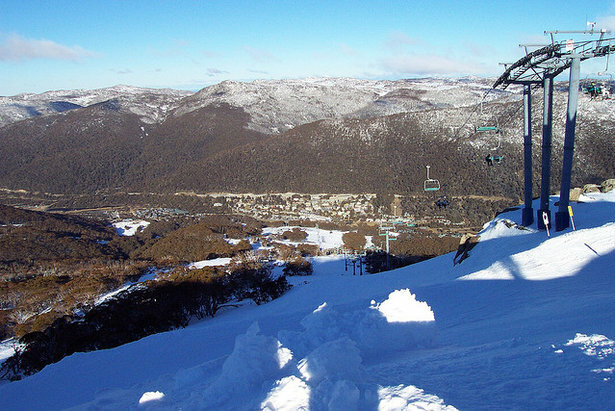 Intermediate runs are found on both sides of the mountain and some of the favorites include the wide cruising slopes of Little Buller Spur and Wombat. The most advanced runs are on the south side, including Federation, Wood Run, Bull Run and Wombat bowls. Buller also has five miles of cross-country trails, three terrain parks and two toboggan parks. Après ski: After working up an appetite on the slopes, relax with a gluhwine next to the fire at the Moosehead bar or head to the lively Kooroora bar, a favorite locals' watering hole. Choose from a range of dining options, including gourmet burgers, Italian, Asian, tapas and more. Resort facilities: Mt Buller is also home to the High Alpine Spa Retreat, Australia’s highest day spa. Buller has more than 30 bars and restaurants and multiple ski-in/ski-out properties. There’s also a ski school, a range of shops, a movie theatre and ski rentals. Transportation: Located 154 miles from Melbourne, it’s a three-hour drive away via the Hume Highway or Maroondah Highway. Park about a mile from Buller and take the free shuttle service. A number of private coach companies also operate between Melbourne and Buller. Ski above treeline at Mt. Buller for sweeping powder turns. Located high in the Victorian Alps, Mt. Hotham is known as ‘The powder capital of Australia.’ It holds the record for the most annual snowfall in Victoria. Expert skiers can conquer steep valley runs and the many natural gullies, half-pipes and tree runs. Hotham is home to one of Australia’s steepest and most difficult runs, Mary Slide. However, all skiers and riders can find terrain to their liking here, not just experts. There is plenty of good cruising runs for beginners and intermediates as well as the Big D designated learning area. Hotham also offers night skiing twice a week and two terrain parks. Non-skiers have snowshoeing, dog sledding, snowmobiling and tobogganing. Après ski: Hotham has a variety of bars and restaurants and favorite après-ski spots, including The General and Zirkys Bar. Resort facilities: Hotham Kids Ski and Ride School, daycare, rental shop, retail outlets, two spas, medical center, bars and restaurants, and more than 7,000 beds in hotels, lodges and apartments. Transportation: Hotham Airport is just 12 miles away. Flights arrive here from Melbourne and Sydney. If driving from Melbourne (4.5 hours), it's a very scenic journey as Hotham is located at the highest point of the Great Alpine Road. Village views from mid-mountain at Mt Hotham. 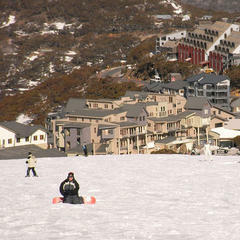 Thredbo, midway between Sydney and Melbourne, is Australia’s best-known ski field. Home to some of the longest runs in Oz, Thredbo is a hit with beginners and intermediates for its long, wide cruisers, including Walkabout, Playground and Ballroom. But it's not just for groomers. Thredbo has some of the steepest terrain in Australia, with natural hits, wind lips and powder bowls to satisfy even the most advanced skiers. One of the most challenging runs at Thredbo is Funnel Web—essentially an ungroomed trail notorious for its near-vertical middle section dotted with bumps and moguls. Skiers needn’t worry about lack of snow on lower runs either as Thredbo has one of the largest snowmaking systems in the Southern Hemisphere. Thredbo also has several terrain parks to suit varying levels. Après ski: Thredbo offers over 30 locales to sit back and relax, including The Local Pub, Eagles Nest and Central Road 2625. Resort facilities: The streets are lined with a good selection of shops, restaurants, bars and cafes. The Thredbo Leisure Centre has an Olympic-sized heated pool and the sports hall features a climbing wall. All accommodations are within easy walking distance or a quick free shuttle bus ride to the slopes and village. Choose from catered lodges, hotels, luxurious apartments and self-contained units. Transportation: Fly direct from Sydney or catch a 2.5-hour shuttle from Canberra Airport. Entry into the national park is free but if you're taking your own car you'll need to get a permit. Driving from Sydney or Melbourne will take around six hours. Big shadows and big snow at Thredbo. 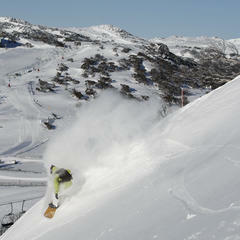 Perisher, in New South Wales, is the largest resort in the Southern Hemisphere. 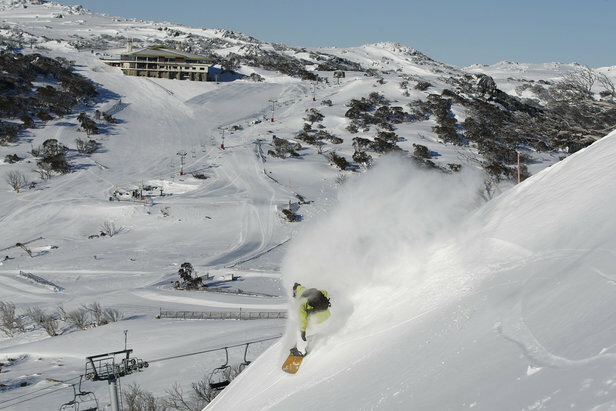 Four areas, including Perisher Valley, Smiggin Holes, Blue Cow and Guthega, provide a variety of terrain for all skiing levels. What really makes the resort stand out is the abundance of entertaining activities for the whole family, from night skiing to free fireworks displays. The mini half-pipe at the Yabby Flat Mini Terrain Park, allows beginners to safely learn the basics of half-pipe riding before moving onto the Front Valley pipe. Après ski: Choose from a number of lively bars. Try the locally-distilled Wild Brumy Schnapps at the Top Spot Bar with its spectacular views or enjoy the DJ and acoustic sessions at the Overflow Bar. The Snow Gums Restaurant at the Perisher Valley Hotel offers signature gourmet buffet dinners. Resort facilities: Ski school, retail outlets, village bars, on-mountain restaurants, a restaurant/cafe at each of the four mountain bases, supermarket, ATM, police station, medical center, post office and pharmacy. There are multiple accommodation options in Perisher, including hotels, inns, bed and breakfasts, and chalets. Transportation: Perisher is a six-hour drive from Sydney via Canberra and Cooma or seven hours from Melbourne. Craigieburn Valley is not for the fainthearted or even beginners for that matter. All of the terrain here is for experienced skiers and riders, split evenly between intermediate and expert trails. Highlights include easy access to advanced freeriding, steep narrow chutes, wide-open powder bowls and uncrowded runs. Terrain at Craigieburn Valley is varied, exciting and challenging with the infamous 600-meter (1,968-foot) vertical descent of Middle Basin (which is often compared to a heli-skiing experience) accessible by an easy traverse from the tow. The resort is a classic club field, meaning that it is not for profit; rather it's run by dedicated club members. "Craiggie" is an awesome place to ski and remains largely undiscovered, which means more freshies for you. Après ski: Head to the bar at Koroheke Lodge. Resorts facilities: The day lodge, located near the top of the mountain, serves hot food and fresh coffee. Craigieburn has two overnight lodges: Koroheke and Matuhi are nestled away just below treeline. They offer a warm and friendly retreat right off the snow after a hard day on the hill. Note: there are no ski rental facilities in Craigieburn. Transportation: Craigieburn is located 68 miles/1.5 hours from Christchurch on highway 73. Independent operators, Smylies and Black Diamond Safaris offer transfers between Christchurch and Craigieburn. 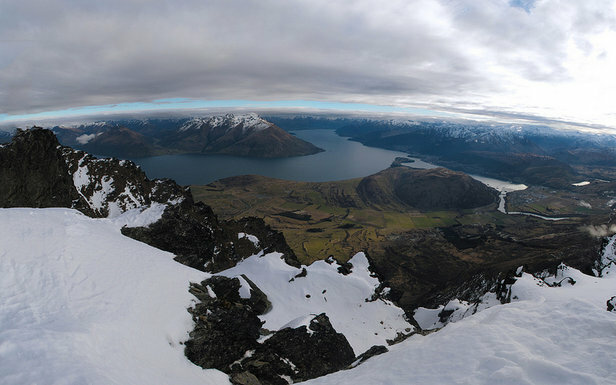 Treble Cone, in Lake Wanaka, is the largest ski area on the South Island. The terrain covers two basins—the Saddle and Home Basin. 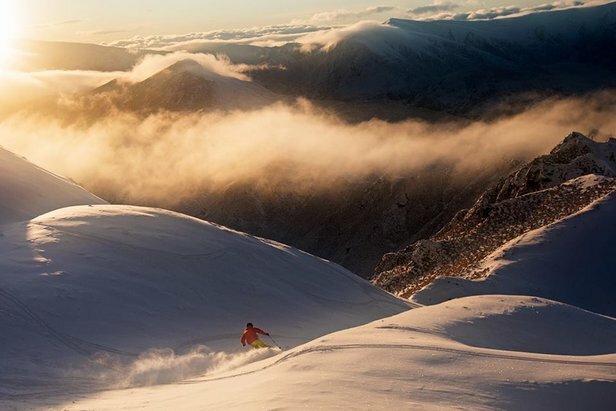 Both provide some of the best freeriding in New Zealand. Freeriding highlights include major steeps, long chutes and deep powder bowls. Fans of steep and challenging terrain claim Treble Cone has some of the best in the country. Advanced riders can take guided tours out to the Motatapu Chutes. However, beginners and intermediates are not left out—with plenty of long, uncrowded runs accessed from the Saddle Basin and Home Basin chairlift. Après ski: End the day with après-ski drinks at the Base Lodge Sun Deck and fill empty bellies with made-to-order burgers and pizzas. Resorts facilities: Cafe, bar and sun deck, medical center, snow sports school, snow rentals shop, childcare center (3 to 6 years), retail shop. The nearby town, Wanaka, offers a range of lodging to suit all budgets: hotels, hostels and B&Bs. Transportation: Treble Cone is the closest ski resort to Wanaka, an 18-mile/35-minute drive. Daily shuttles run between the town and resort. 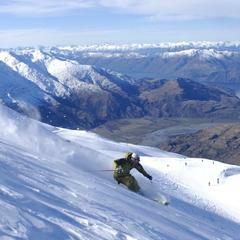 The Remarkables nabs the top spot when it comes to family skiing in Australasia. Why? It’s not overly commercialized, has a relaxed homey vibe, is less crowded and gets better snow cover than its neighbors. There’s also a wide range of activities (snow tubing park) and learning programs to suit all abilities such as a network of progressive terrain parks with wide, gentle slopes for newbies and big mountain steeps for the more experienced in the group. Events are plentiful too, from mini park battles and eating contests to gigs on the slopes. Best of all it’s where The Lord of the Rings was filmed. Secondly, children five years and under get to ski for free. Après ski: Fully-licensed cafe and bar and Snack Shack on the snow. Resort facilities: Snowsports school, ski and snowboard rental shop, ski retail outlet, licensed day care center and children’s programs, first aid and emergency services. Transportation: Snowline Express provides return transport to the ski area each day of the season. 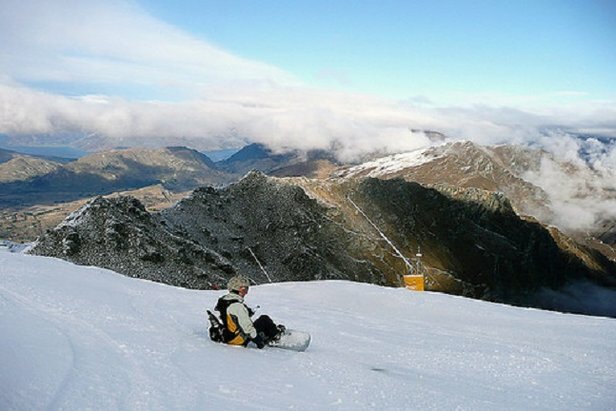 The Remarkables Ski Area is located within a 40-minute drive from Queenstown. The Remarkables was chosen as a film location for Lord of The Rings. 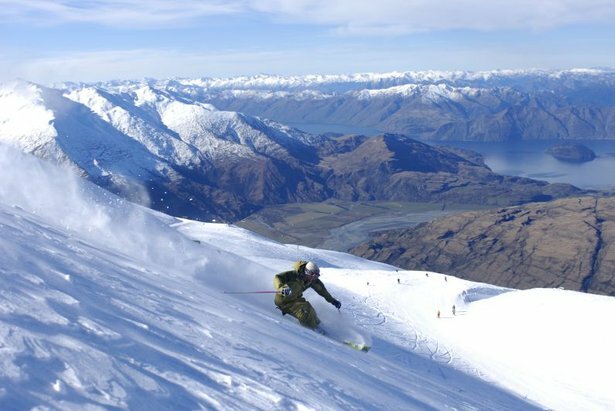 Coronet Peak is the most popular ski resort on the South Island of New Zealand, in part due to its proximity to Queenstown—20 minutes away. 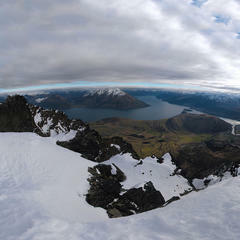 From the summit, look left to see Gondor from the movie, The Lord of the Rings. The varied terrain offers something for everyone: beginners and intermediates have wide blue and red runs, while more advanced skiers can hit the terrain park or test their stamina on the longest run, the "M-1," stretching 2.4 kilometers (1.5 miles). The resort is known for its efficient high-speed chairlifts. The peak is one of the last ski fields to lose its snow, hence the season typically runs from early June to mid-October. Après ski: Fully-licensed restaurant plus bar and cafe with sun deck at the sub-station. Transportation: Snowline Express returns from Queenstown Snow Centre, departs every 20 minutes during peak times with pick-ups at designated stops where space is available.